This past weekend I taught a workshop at the Rowe Center in Rowe, MA. One of my students, Sasha Kellner of Ithaca, NY repeatedly blew my mind with her creative experimentation. 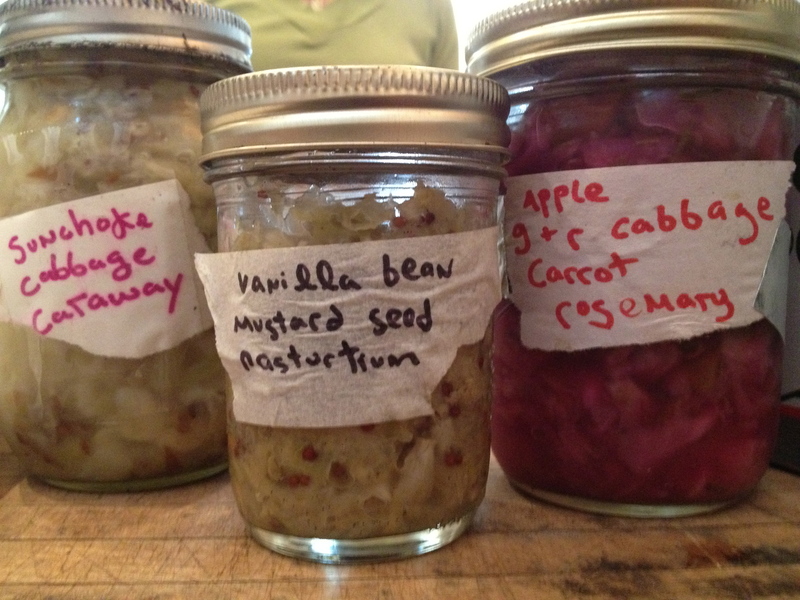 First, she pulled out dehydrated sauerkraut, which she had made to salvage a batch that had started to get mushy. 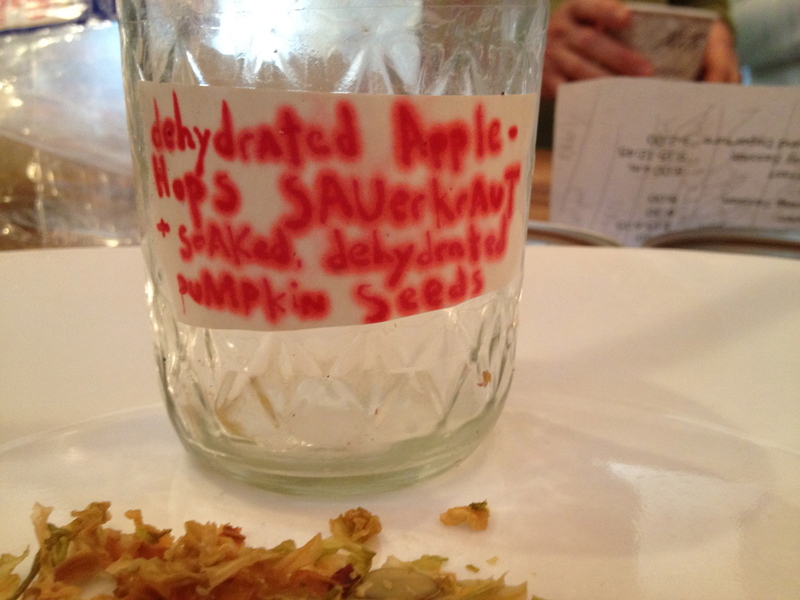 The dehydrated kraut (with apple and hops!) 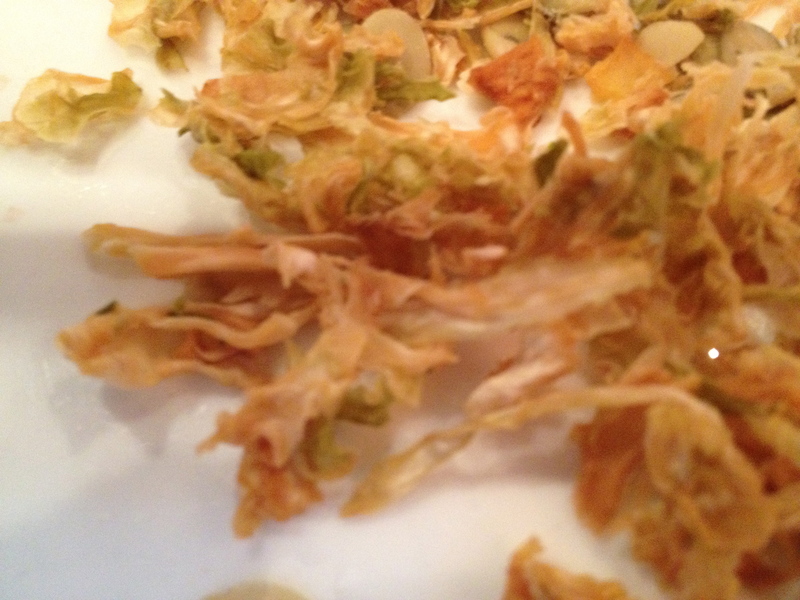 was crispy and delicious, like a probiotic answer to potato chips. Then she pulled out more flavors: sunchoke (pre-cooked)-cabbage-caraway; vanilla bean-mustard seed-nasturtium; apple-cabbage-carrot-rosemary. All were delicious and distinctive.